Rather than being based on what you actually own, or how much you can constantly afford to buy, looking truly stylish does comes down to styling. It’s those little (often free) details that can shift from year to year, or season to season, and therefore it’s good to stay on top of them. Like, how you tuck a shirt in. Or combine a blazer with jeans. What length your skinny jean hems sit at. How to wear your scarf. 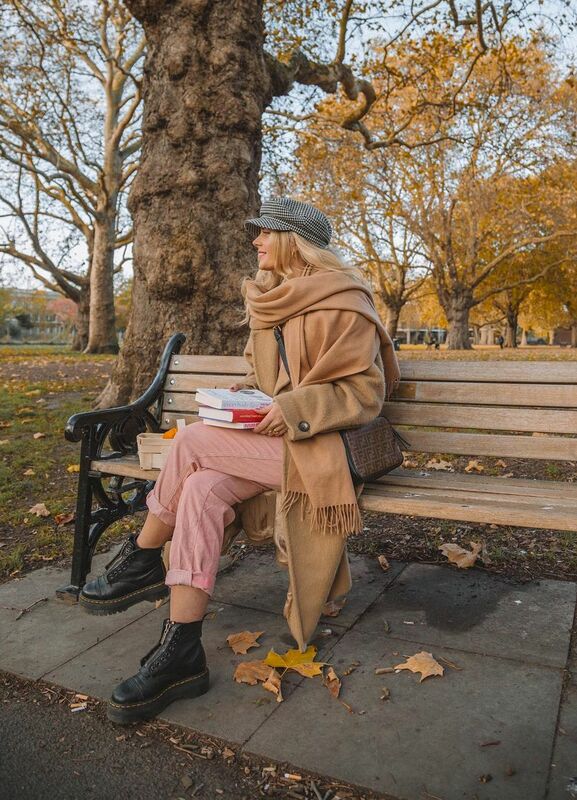 And the latter is what we’re here to talk about today because after a relatively mild winter things are feeling glacial, and it’s time our trusty knitted and woolen scarves were allowed out of hibernation. I don’t believe there’s a need to purchase a new scarf unless yours somehow doesn’t fulfill its purpose of keeping you warm (in which case, a mystery! 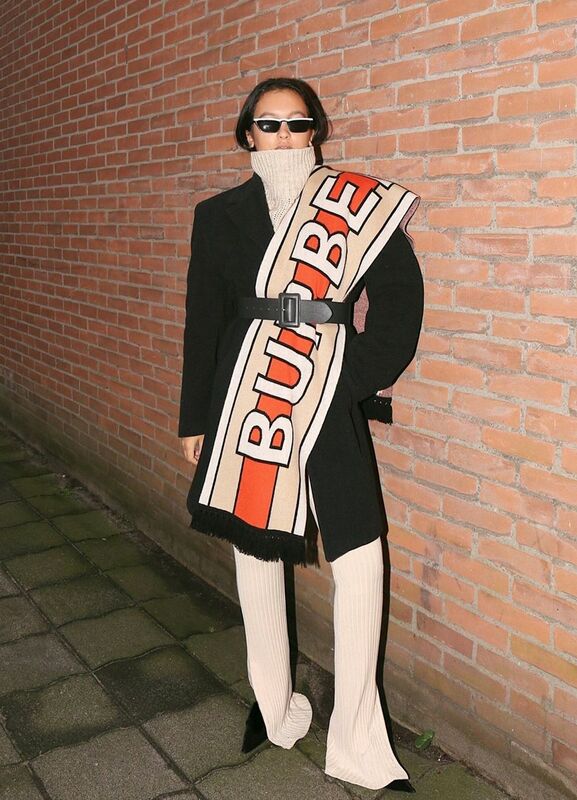 ), but there are new ways to wear this cold-weather staple to make it feel oh-so-2019. 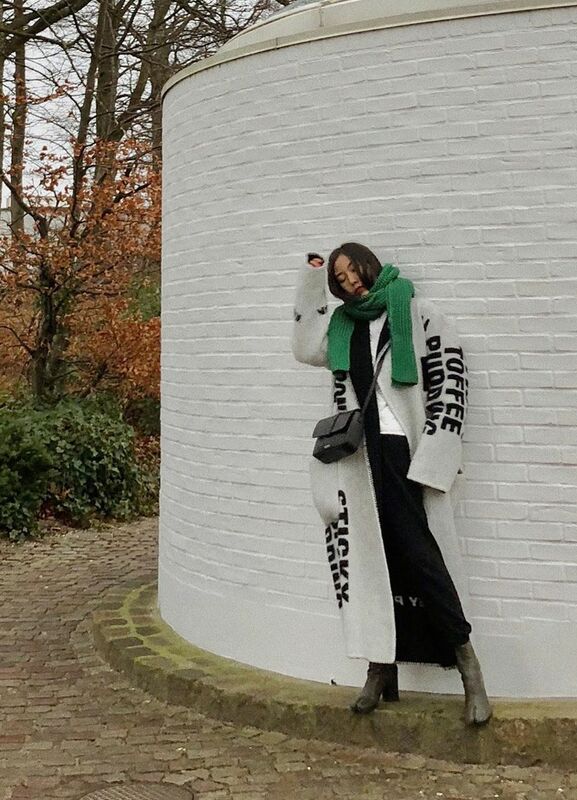 For inspiration, we’ve looked to influencers who are embracing what winter wardrobes have to offer and taking outfit pictures outside, complete with that final flourish—an artfully wrapped, knotted, looped, draped, caped or belted scarf. There are more advanced options should you want to be truly dedicated to a “look” as well as simple scarf-styling ideas that you’ll probably be already doing automatically—only now you just get a big fat fashion seal of approval. We’re feeling warmer, and chicer, already. 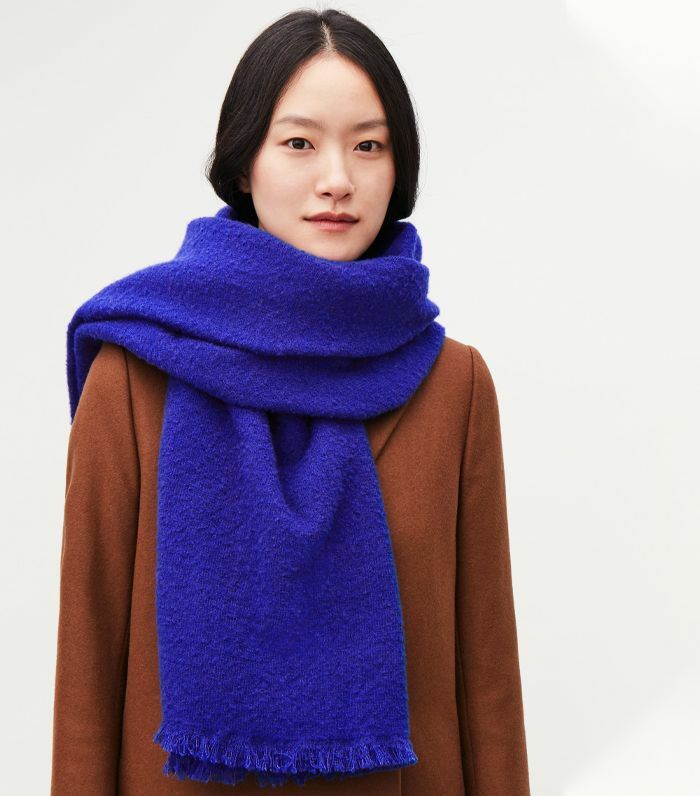 Loop around the neck once and leave one long end draped forward, with the other over one shoulder—and you have a very chic, streamlined effect. Extra points if you have a matching jumper, like Jeanette. 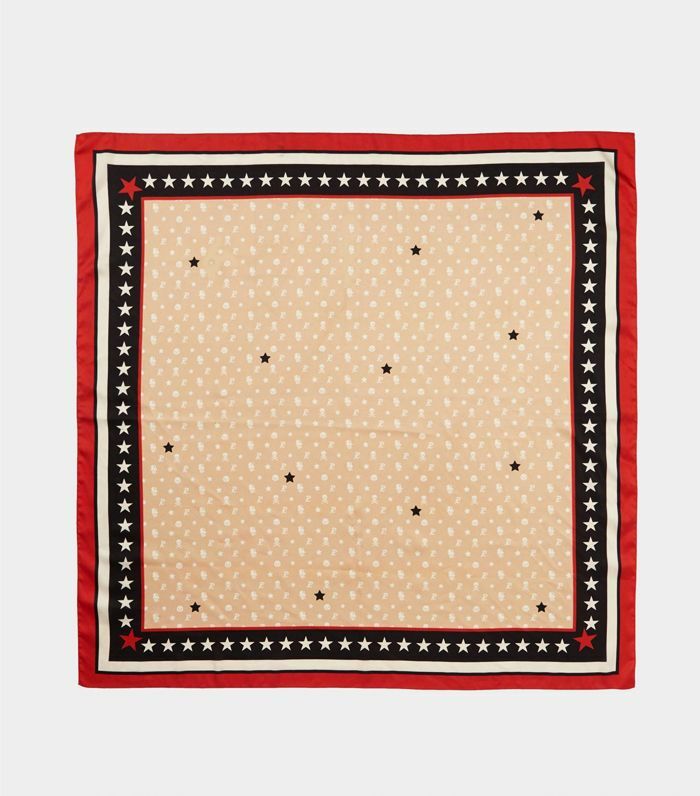 This also works well with larger scarves where you can create a gap between your neck and the swooshed front of the scarf—great if you tend to overheat or are wearing a roll-neck (or necklace you’d like to show off). 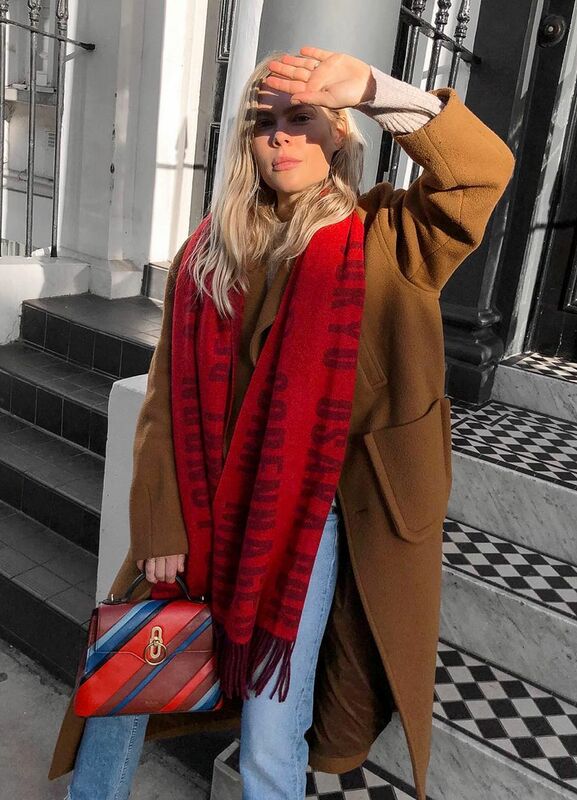 Less of a keeping-you-warm move and more of a look-at-my-new-scarf option, simply throw your favourite scarf over a coat or jumper and leave it open. There’s something particularly rich-looking about this move, especially when in soft neutral tones like Lorna’s combination here. 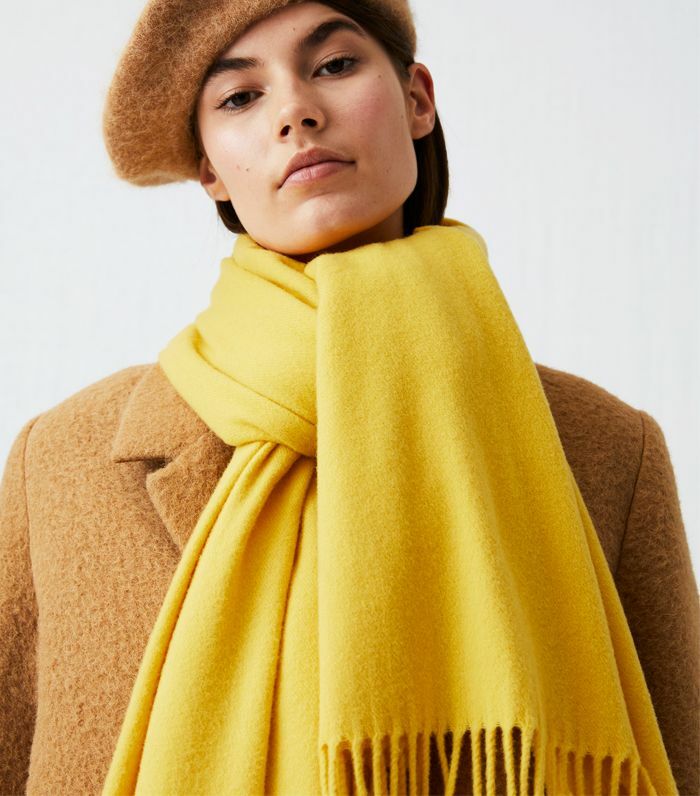 Not to be done with a chunky woolen scarf, but very useful for keeping your ears and head toasty in the colder months, a silk (or other fabric) foulard knotted around your chin has come back into fashion. 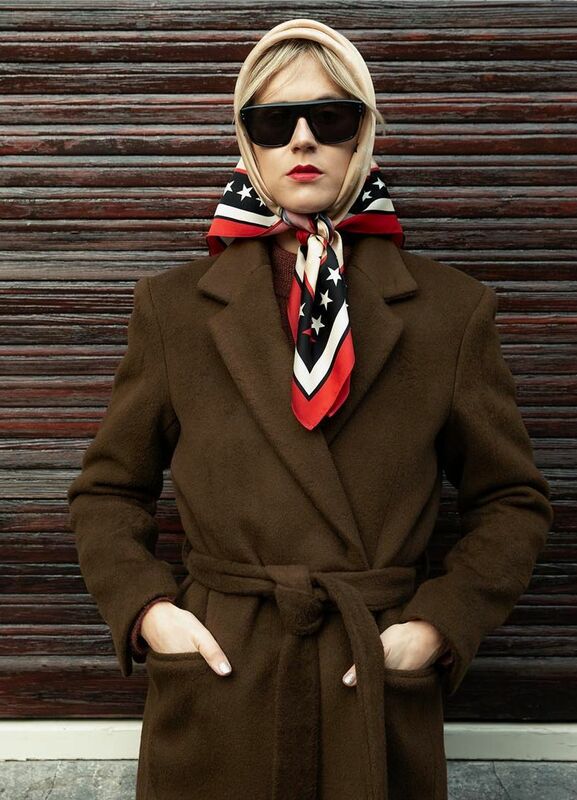 Linda’s Rika scarf is inspired by Jackie O—how chic. 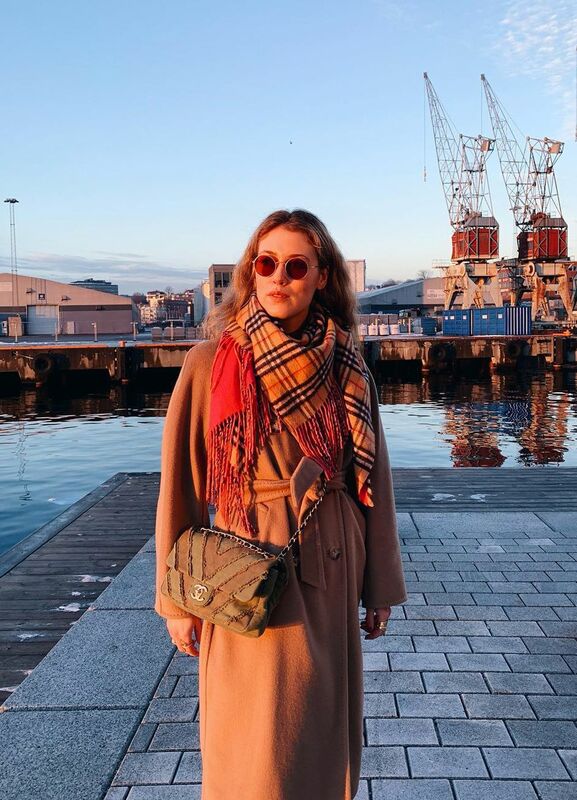 It’s not for the fashion-shy, perhaps, so if you’re more adventurous, check out Hanna Mw and her headscarf styling nous. 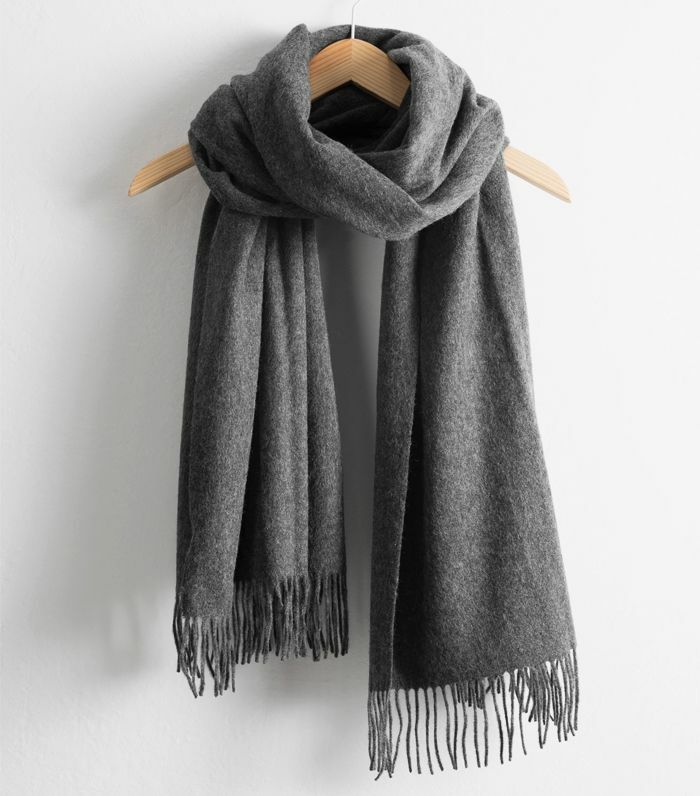 Perhaps the easiest and most natural of them all, here’s the classic wrap-around-the-neck move, leaving the two ends of your scarf dangling at the front. 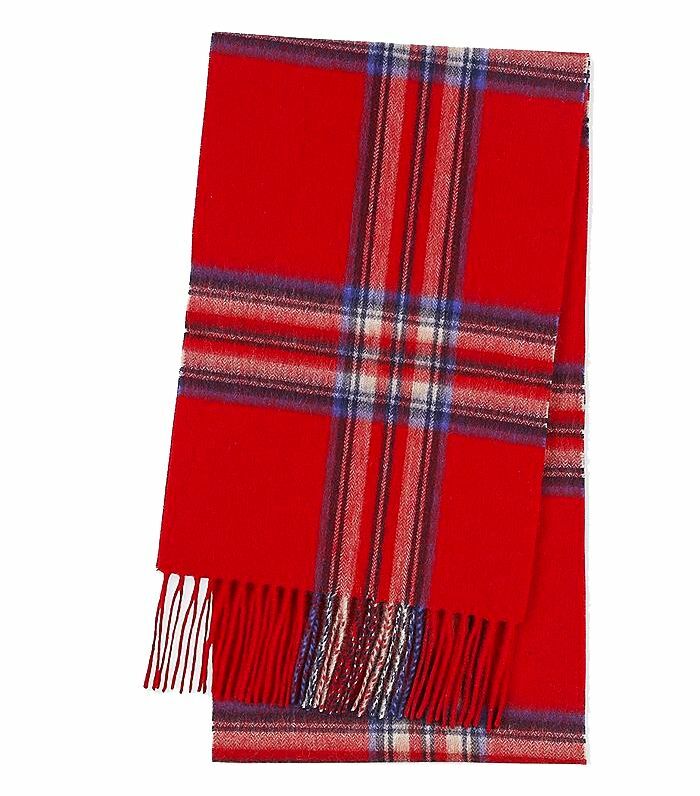 If you’ve got an extra-long scarf, wrap it around your neck twice for a doubly cold-fighting barrier. 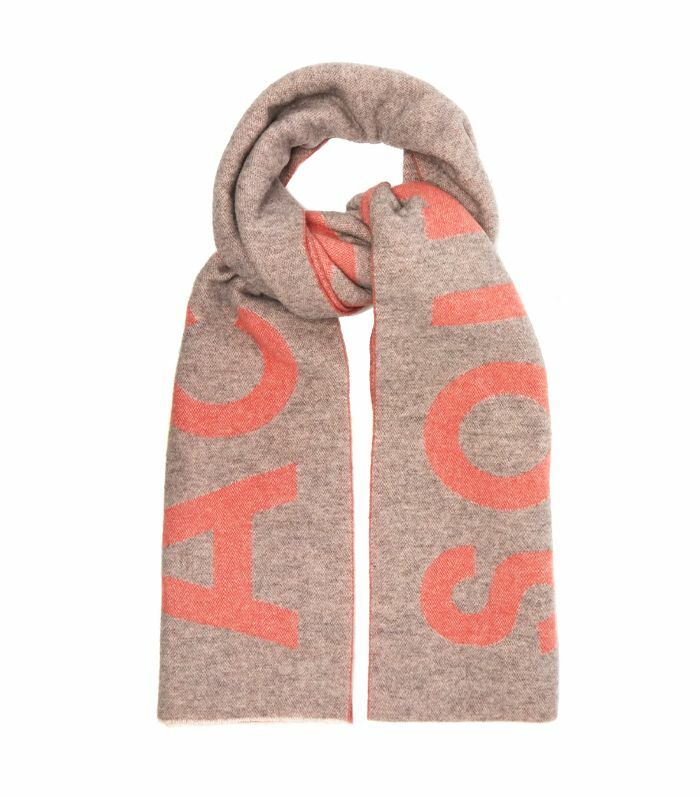 Not technically a scarf, but acting up as one, many girls are using this double-jumper trick as a neat/cosy styling trick for winter. 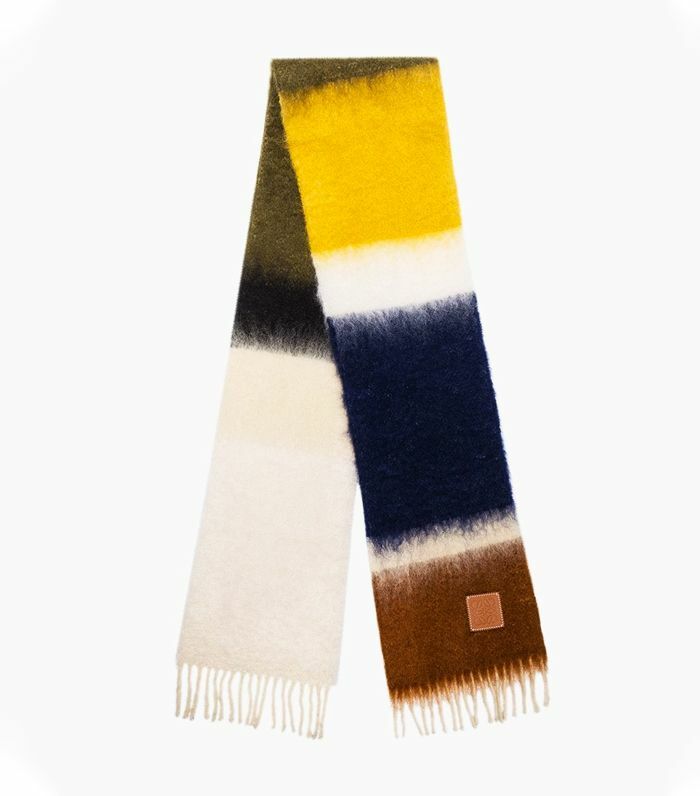 Some jumpers come with scarves attached, but you can easily replicate this with a couple of tonally-matched affordable knits from, say, Uniqlo. 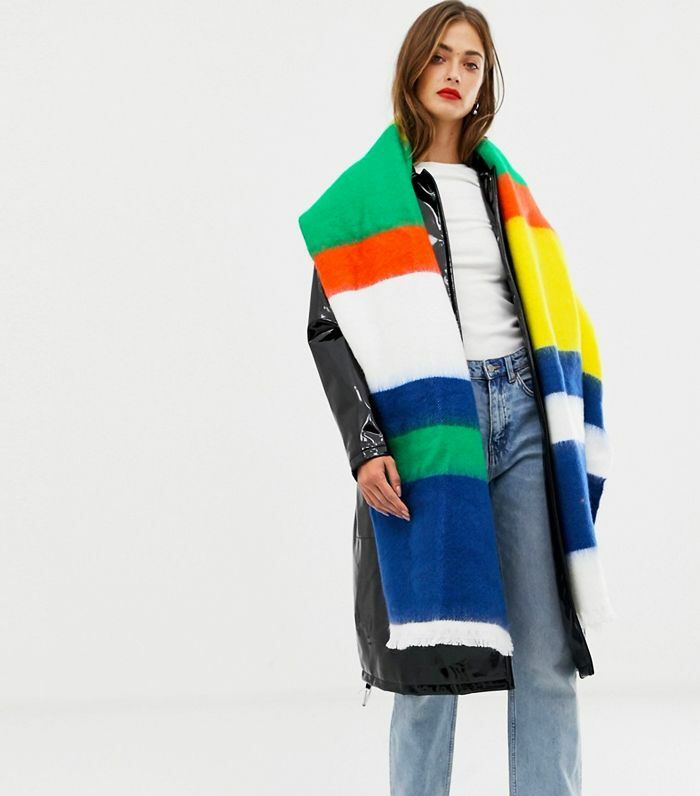 Got a scarf bigger than the square footage of your flat? Then you’ll want to simply drape it over your shoulders as a cape, rather than wrap it around and feel like the Michelin man. 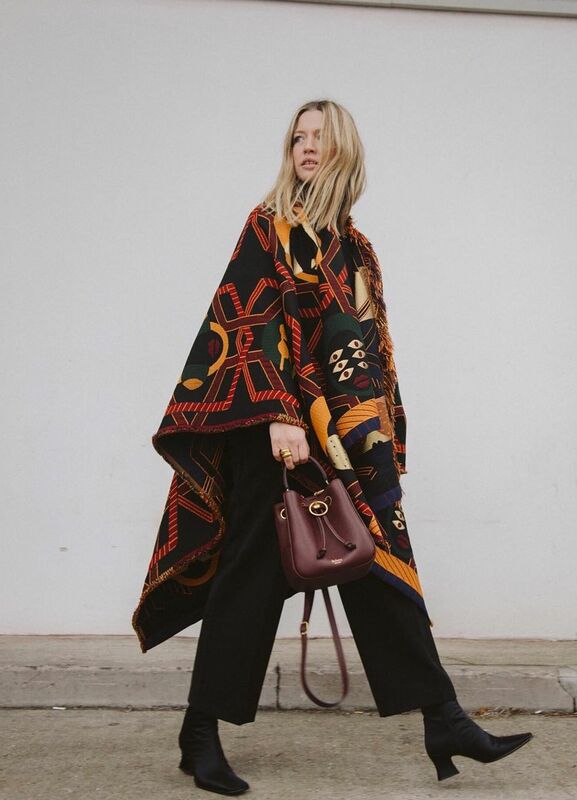 Cape-scarves work particularly well with trousers and suiting—add them to a dress and they can look a little boho 2004. 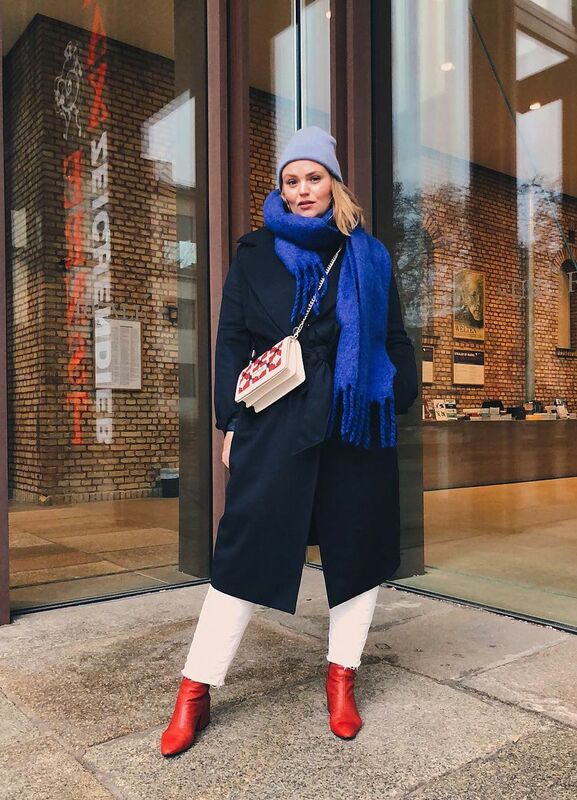 Proving to be a popular scarf style choice among the Scandi set, this styling move is essentially the same as the wraparound, only you’re using a square-shaped scarf, which means a triangle forms at the front. 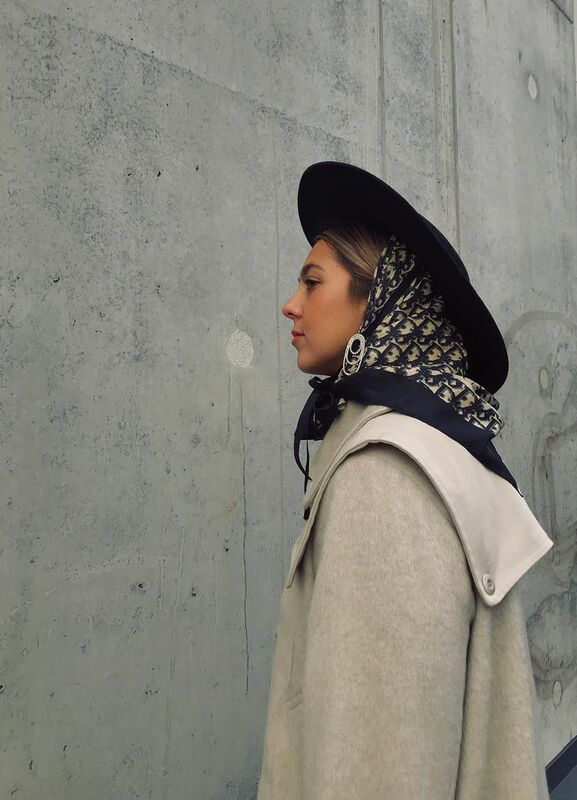 Very chic with lighter weight options, like Mette’s printed silk scarf here. Want to make a real statement? 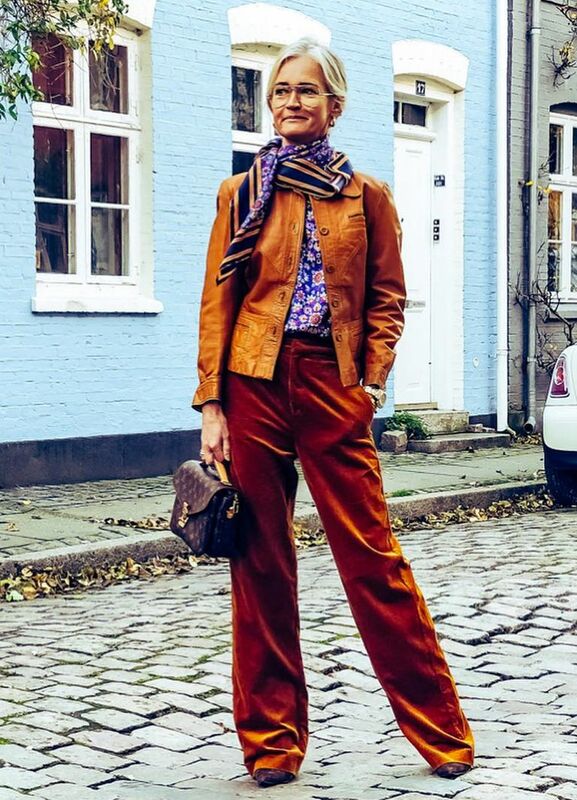 Then this is the scarf styling trick to replicate: Fasten a one-sided statement jumbo-scarf in place with a belt. 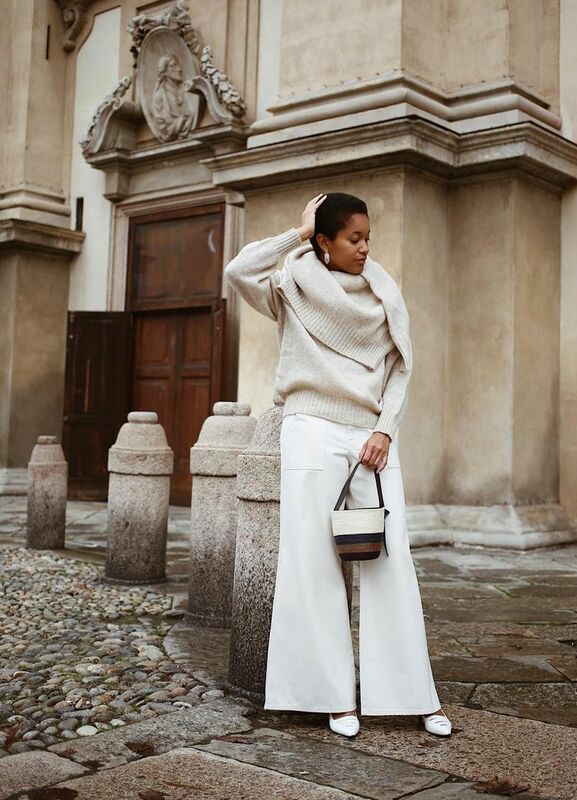 It adds interest to a worn-out winter coat, as well as reining in a roomier, oversized silhouette with a bit of waist nipping. Nothing quite like a little sunshine yellow to brighten up a dull day. Watch this become an Insta sensation. Acne’s scarves are some of the coolest. 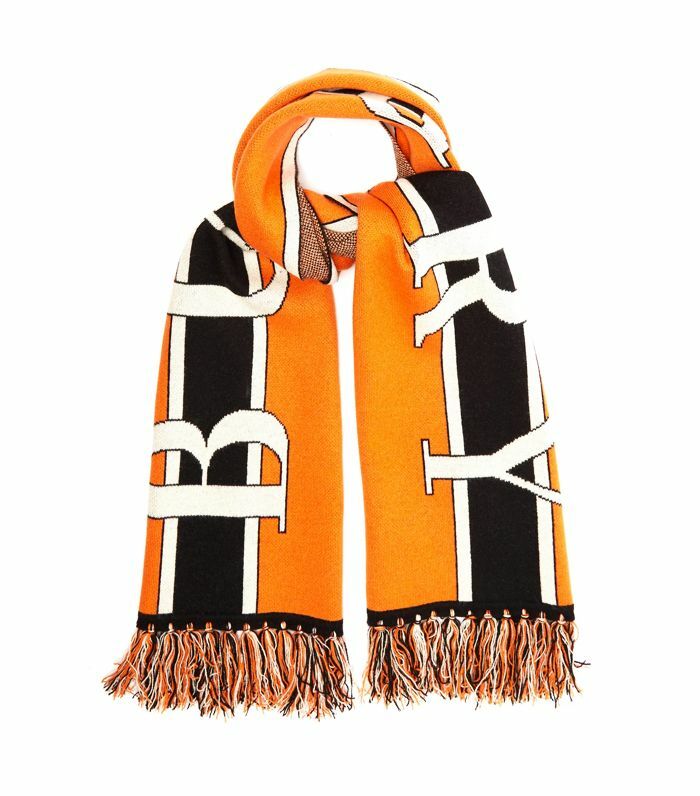 Can you see the emerging trend for logo scarves yet? Our deputy editor, Emma, has just bought this one. So classic you can’t go wrong. Wear knotted at your chin. For Paddington Bear vibes. Next, the best celebrity winter outfits to copy now. This story was published at an earlier time and has since been updated.